View cart “25-Keypad System Featuring 12-Button Keypads” has been added to your cart. Complete audience response system with everything you need to add interactive audience polling to your Microsoft PowerPoint presentations. The package includes 100 keypads, a small USB “Stick” style transceiver to allow keypads to communicate with the PC, Keypoint Interactive Standard Edition software for Microsoft Office, and a custom padded carrying case. Complete audience response system with everything you need to add interactive audience polling to your Microsoft PowerPoint presentations. 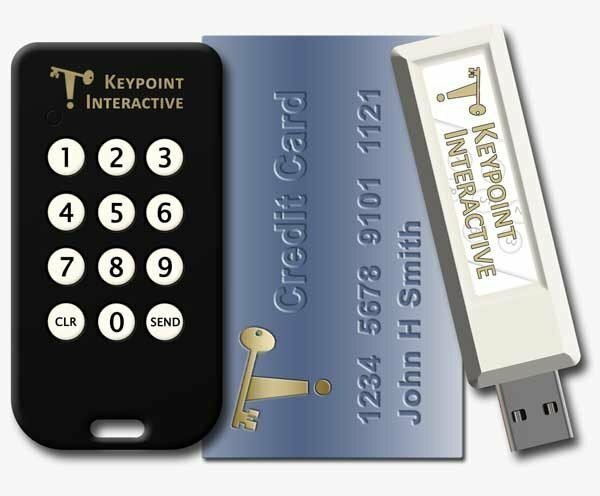 The package includes 100 keypads, a small USB “Stick” style transceiver to allow keypads to communicate with the PC, Keypoint Interactive Standard Edition software for Microsoft Office, and a custom padded carrying case. 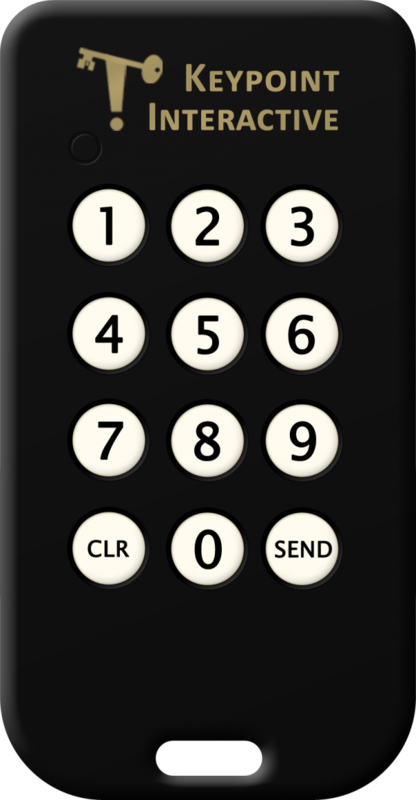 You can expand your system up to 500 keypads simply by purchasing additional keypads. Custom system sizes are also available to support keypads into the thousands. Keypoint is an interactive add-in for Microsoft Office for Windows. It has been designed from the ground up to seamlessly integrate with the newest suites of Office products. The result is completely integrated user interface that makes adding sophisticated interactivity to your PowerPoint presentations as effortless as creating any other type of slide. Bundle includes 100 wireless WRS7100-KPI keypads. Bundle includes a USB “stick” style WRS971-KPI transceiver. Supports up to 500 keypads. Patented frequency-hopping spread spectrum RF technology. Custom padded carrying bag included. Requires Microsoft Windows XP-SP3 (or newer), Vista, 7, 8, 8.1 or 10. DOES NOT SUPPORT VERSIONS OF OFFICE PRIOR TO 2007. DOES NOT SUPPORT VERSIONS OF OFFICE FOR MAC. Website by: Web 7 Marketing Inc - Michigan's Leading Business Website Designers & SEO Company.